Assistant Trainer Shannon Beck joined Chestnut Hill in the summer of 2013, and has been a huge asset to the program since day one. 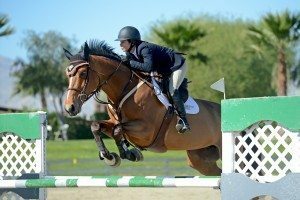 A talented rider and teacher, Shannon enjoys all aspects of the business from managing the feeding program to working closely with vets, grooms, and the range of equine health care specialists. She takes particular pride in figuring out how to improve a horse’s performance with his owner, and works diligently to figure out each team. Shannon has been riding for over 25 years. As a junior she competed in the hunters and equitation, and in her teens added jumpers to her repertoire. Riding mainly as a catch-rider honed her ability to get to know horses quickly, manage each unique equine personality, overcome challenging problems, and sometimes discover hidden talents. After graduating from the University of San Francisco in 2007, Shannon entered the legal field while simultaneously riding as a working student for Lumpy Kilham in Nicasio, California. In 2009, Shannon moved to Belgium where she rode and competed abroad. Upon her return, she continued riding at Kilham Farm while working in public relations for a Fortune 50 company. In 2012, Shannon took her first job as a professional, joining McIntosh Stables in Portola Valley, California as the Operations and Barn Manager. While there, she taught, rode and directed the care of the horses in the program. It was in 2013 that Shannon joined Beverly Jovais and Chestnut Hill as assistant trainer and rider. For 2016, Shannon was named The Equestrian Concierge‘s Outfitted by EQ Elite Rider – sponsored in Sarm Hippique, USA – an Italian equestrian apparel company. Developed by EQ’s Owner and Brand Strategist, Ashley Matchett Woods, the #OutfittedByEQ program recognizes those who bring something extraordinary to equestrian sport, and chooses riders who through their attitude, conduct, values and ethics, serve as a role model for others.